This month (March 2016) we say goodbye to our Chief Executive David Parker as he joins ESA as its new Director of Human Spaceflight and Robotic Exploration. 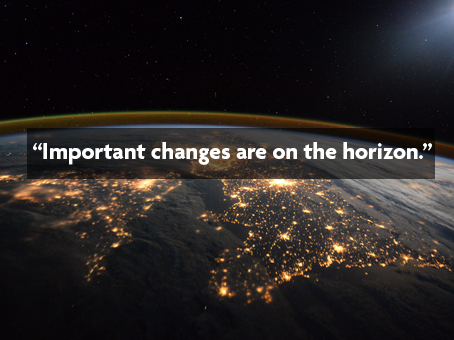 In this special blog post, he reflects on the changes thatswept across the UK space community and formed the agency into what it is today. Nearly sixty years since the first satellite was launched, daily life has seamlessly absorbed space-based services such as weather forecasting, satellite navigation and satellite TV. Space-based technologies are used for tackling many global challenges. Satellites can assist with tackling illegal fishing, efficient urban and rural land use, resource management, safe implementation of autonomous vehicles and a myriad further uses. All these innovations derive from long term public sector R&D. The UK Space Agency is an executive agency of the Department of Business Innovation and Skills. We only became operational in 2011 – perhaps surprisingly given that that the UK has a successful history of space activities stretching back to 1957. Its ‘prime directive’ is to provide policy and programme leadership for UK civil space activities. When I took over as Chief Executive in January 2013, I knew some important changes were needed to match our organisation to our goals, already set out in our Civil Space Strategy 2012-16. 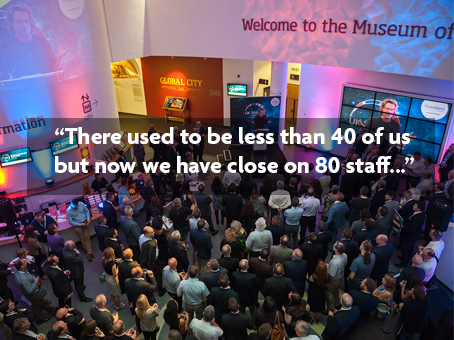 There used to be less than forty of us but we now have close on eighty staff, reflecting the far broader set of responsibilities and programmes that the Agency now shoulders. This was just one outcome of a change programme (Project Arrow) that set the course for the future. Of all the many recent advances in UK space policy, the 25% increase in UK funding of the European Space Agency made at its Council of Ministers in 2012 probably had the biggest impact. It’s one reason why three-dozen space companies subsequently expanded their presence in the UK or set-up here for the first time. In return, ESA grew its small office at the UK Space Gateway in Harwell, near Oxford, to become the European Centre for Satellite Applications and Telecommunications (ECSAT) with 100 staff. ESA moved into its superb new facility at Harwell in July 2015. 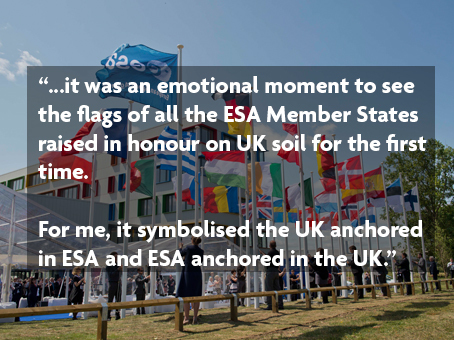 This was a project that I lived with since 2008 and it was an emotional moment to see the flags of all the ESA Member States raised in honour on UK soil for the first time. For me, it symbolised the UK anchored in ESA and ESA anchored in the UK. Demonstrating the innovation needed to drive industry growth, on the same day we signed a new public-private partnership with Paris-based Eutelsat to build their ‘Quantum’ flexible small telecom satellite. This supports our export-driven thinking – a new UK product for the world market that will create jobs and services for years to come. We are attempting something similar with NovaSAR, the UK’s affordable, all weather Earth observation satellite. It’s a trick we’ve already pulled several times – for example helping a tiny start-up called ClydeSpace become a world renowned manufacturer of cubesats by funding and launching their first complete satellite, UKube-1, which completed its mission in 2015. It’s great to visit their HQ in downtown Glasgow – just the kind of funky ‘new space’ environment you’d hope for, complete with a pool table in the middle of the office. It’s been my good luck to help steer several changes in UK space policy only possible since the Agency was set-up. For example, for some years, a select band of UK scientists had argued the case for involvement in both human spaceflight and what’s sometimes called ‘microgravity science’ – which just means, using the special environment of space to do fundamental and applied science. Via a series of policy reviews stretching back to 2003, the evidence was gradually assembled that we were missing out on something valuable. But the creation of the Agency made the breakthrough possible. We joined ESA’s life and physical sciences programme (ELIPS) in 2012. The simultaneous decision to participate in ESA’s human spaceflight programme followed a similar path with policy reviews which changed established thinking. 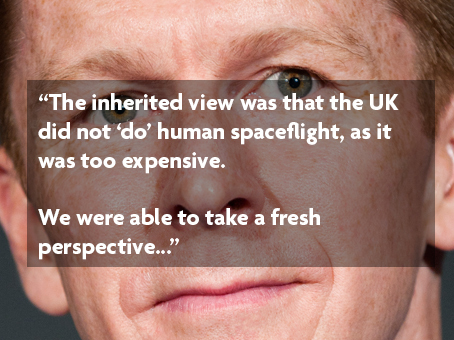 The inherited view was that the UK did not ‘do’ human spaceflight, as it was too expensive. We were able to take a fresh perspective and help the minister of the day, David Willetts, make the decision to join the International Space Station programme. The benefits are clear. The UK community has seized the opportunity of ELIPS participation and 100 scientists are now involved. UK technology is being developed that will give the European part of the space station vastly improved communications, increasing science productivity. And about half a million young people are involved in education projects built around Tim Peake’s six month Principia mission to the International Space Station. Only a few thousand extra young people need to take up STEM careers for the mission to pay its way, putting aside the science and commercial returns. Having first met Tim in 2009, it’s been a joy to witness him reaching national hero status, cemented when he recently presented a ‘Brit Award’ to singer Adele, direct from the Space Station and reducing her to tears! Published by ministers in December 2015, the UK’s new National Space Policy (NSP) for the first time captures the breadth of UK space policy in a single document. It sets out the roles and responsibilities for space across Whitehall and beyond while defining the enduring principles of UK action in space. It also introduced government’s ambition to enable commercial spaceflight operations and eventually small satellite launch. Other things we have been busy with, such as reforming the UK’s approach to space regulation and tackling the orbital debris challenge, are less glamorous but equally vital. The Agency’s Space for Smarter Government Programme (SSGP), typifies this. SSGP works across government to increase the use of satellite applications and data in the public sector. Working with the Satellite Applications Catapult, space–based solutions are being demonstrated to problems such as natural hazard management and environmental monitoring. Projects have involved other government departments, local authorities and the devolved administrations in Scotland, Wales and Northern Ireland. Meanwhile, the International Partnerships in Space Programme (IPSP) has come to the end of its £32m two-year pilot phase. 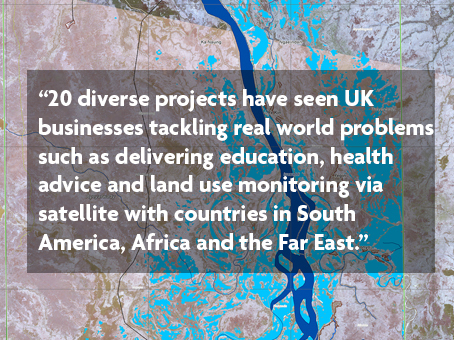 Twenty diverse projects have seen UK businesses tackling real world problems such as delivering education, health advice and land use monitoring via satellite with countries in South America, Africa and the Far East. We are pleased that a new International Partnerships Programme (IPP) will be implemented for the next five years to take forward the same spirit of using satellite applications to help people around the world. In Earth Observation (EO), we have made great progress with implementing our national strategy. We have committed funding to the next generation of the vital Jason sea level monitoring programme. We established a partnership with the French space agency, CNES, on the innovative SWOT (Surface Water and Ocean Tomography) mission; as well as UK involvement in the next generation of the vital IASI weather monitoring instrument. Our space science programme has gone from strength to strength. The billion-star astrometry mission Gaia - which uses UK technology for its all seeing ‘eye’ - has completed coverage of the whole sky and the first data catalogue is released in mid-2016. The UK instrument for Europe’s first mission to Mercury, BepiColombo, was delivered to ESA in May 2015. Led by Leicester University, it will map the elemental composition of the planet’s surface. And the mission will use UK solar electric propulsion to make the voyage to the inner Solar System. We can also look forward to Solar Orbiter’s journey to the Sun, ExoMars exploring the Red Planet and then JUICE launching to the icy moons of Jupiter in the next decade. Astronomy will be transformed when the James Webb Space Telescope launches in 2018, with the UK-led Mid-infrared instrument at its heart. LISA Pathfinder, built by UK industry and launched in November 2015, relies on contributions from UK universities to help prove the feasibility of a future space-based gravitational wave observatory. This mission has become even more relevant following the recent claim of the first terrestrial measurement of gravitational waves. Looking forward, the National Space Technology Programme (NSTP) will continue to support early R&D in UK industry and we will also build new national propulsion test facilities to support industry. Previous NSTP projects have given us a head start in using the high precision, highly dependable signal from the Galileo navigation satellites. New flagship projects include the radical SABRE air-breathing rocket engine; and instrumentation for the Plato mission to search for Earths-like worlds orbiting distant stars. This is our largest ever national investment in a scientific mission. Important changes are on the horizon. Rob Douglas recently completed his tenure as the first Chair of our Steering Board. I would like to thank him for his sage advice and active support to both the executive team and myself. A new Chair will be appointed shortly. I will be taking up my new role as Director of Human Spaceflight and Robotic Exploration with ESA from April 2016. I am delighted that Katherine Courtney, former Director of the Enterprise Directorate at BIS, has been appointed as acting CEO until the end of 2016, allowing a permanent replacement to be appointed in due course. I know that Katherine will do an excellent job. Finally, I want to pay tribute to the wonderful team at the Agency, as well as our sponsors in BIS, the Steering Board and many partners in the UK and beyond. Ultimately, it’s not policies or budgets that make progress in exploring and using space – it’s people. Their dedication, creativity and enthusiasm have defined the success of the UK Space Agency. It is to them that I owe a personal and lasting debt of gratitude.